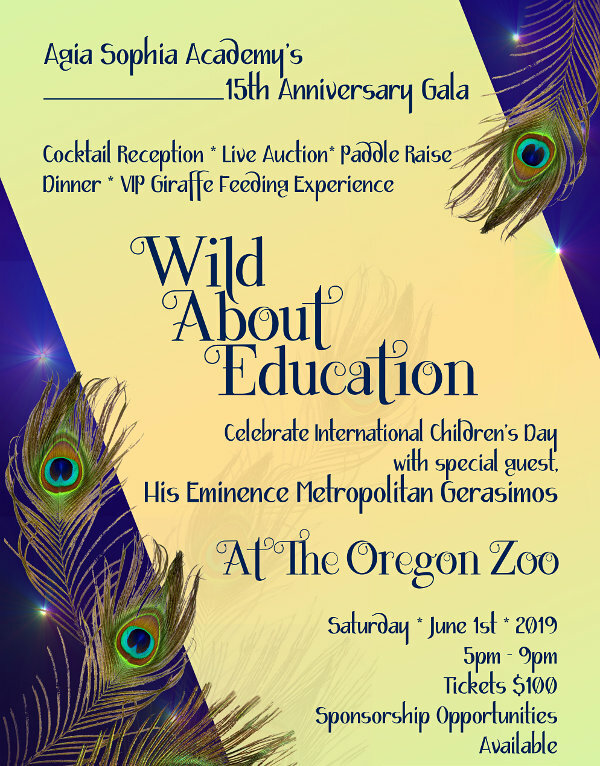 Agia Sophia Academy, Portland’s orthodox christian school, invites you to celebrate its 15th anniversary on June 1st at Oregon Zoo. The evening program includes cocktail reception, live auction, paddle raise, dinner, and more! Tickets are $100 per person, please come and support the local orthodox school! Visit www.asagala.org or contact naomi@asagala.org for more details. This entry was posted in charity, education, food, fundraisers and tagged Agia Sophia Academy, ASA, gala, school. Bookmark the permalink.